Breakfast was scheduled for 8 am today, but everyone seemed anxious to get on the road. Emily fixed an amazing spread for our last “home cooked” WomanTours meal, and off we went. I decided to “ride my own ride” today, and was not with any particular group. This way I could stop for photos, struggle up hills, or whatever. It rained overnight but the sky was clear, the air a bit crisp, no threat of further showers. 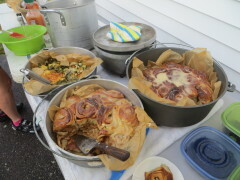 Emily’s amazing breakfast: cinnamon rolls and egg bake! After the first hill, most of this group stopped to peel off clothing. 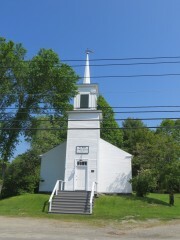 We had a 15 mile “detour” off of Route 1, through the town of Surry. These roads were very quiet and the balsam smell was wonderful. I love the intermittent views of the Maine inlets through the trees. 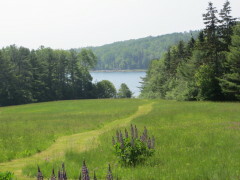 A peak to the water with beautiful lupines in bloom. 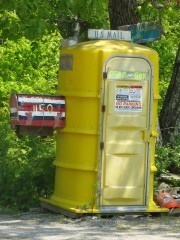 This unusual “mailbox” caught my eye! Our only sag stop was in Ellsworth; Nancy B. has been our Super Sag for over a month and this is her last effort at keeping us in line. Shortly after Ellsworth, we crossed the Mt. 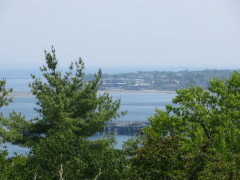 Desert Narrows bridge to the island; it seemed so small after the bridge the day before to Bucksport. 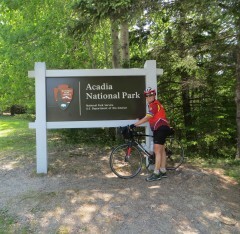 Our route kept us off SR 3 for 5 miles before we entered Acadia National Park. 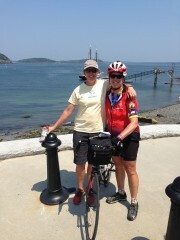 Our last sag stop in Ellsworth. 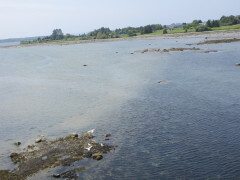 The tide was out as I crossed the Mt. Desert Narrows. 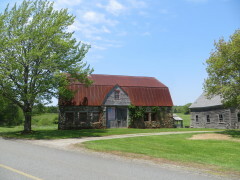 Beautiful stone barn along the back road. 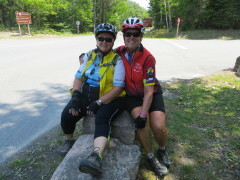 At Acadia I met up with Nancy H. and Nancy I., then joined by Vicki and Lesley to ride to the pier together. We were the last group. The 2 miles on the Park Loop were mostly uphill, before we “sailed” down West Street to the Pier. 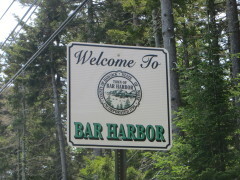 View of bar Harbor from the Park. Many of the other riders were still at the beach when we arrived, so there was a lot of cheering and picture-taking. 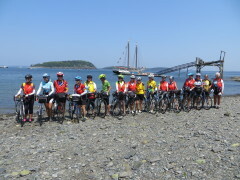 We all have a wonderful sense of accomplishment – and were thrilled that the weather was so nice for our arrival. 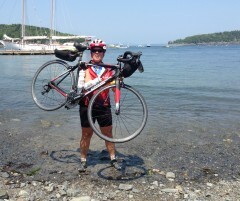 I rode ALL THE MILES! Lunch afterwards with our ride-in group, plus Emilie and Carol, then the short ride to the hotel. 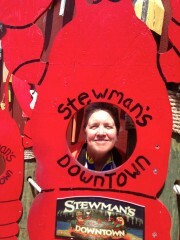 Lunch by the pier at Stewman’s Lobster House. 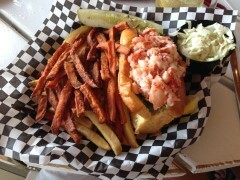 Obligatory lobster roll – delicious! 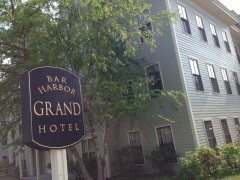 Our last tour hotel – quite nice! Today’s mileage: 46 miles; 2,952 ascent, 2,982 descent. You rode all the miles!!!!! CONGRATULATIONS!!!!!! My warmest and heartiest congratulations on another magnificent accomplishment! 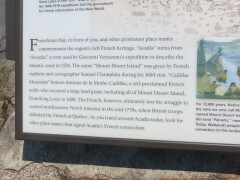 So when are you climbing Mt. Everest? Not interested in Mt. Everest but would like to bike West Coast!